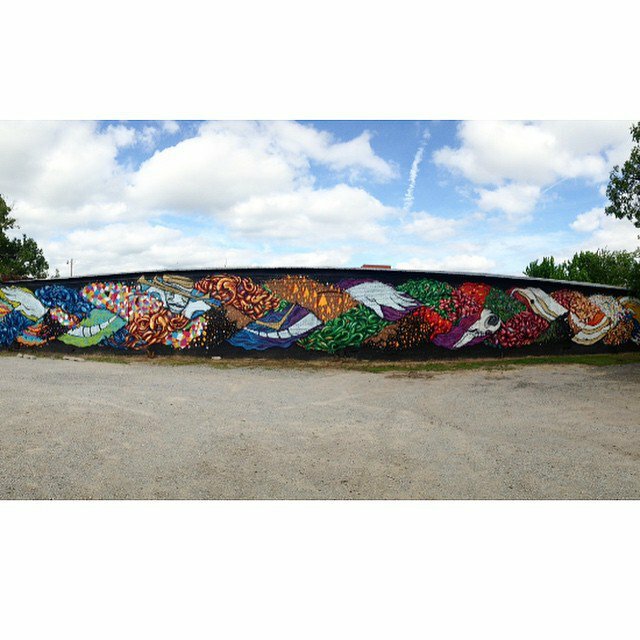 In 2015, Downtown Oklahoma City Inc. and Mason Realty commissioned a trio of local artists to create a 130-ft mural in Automobile Alley. “Braid” spans the west-facing wall of 10 NW 9th St near Sara Sara Cupcakes and Shop Good Oklahoma. Artists Kris Kanaly, Yatika Starr Fields and Dylan Bradway collaborated on separate sections of this mural to create the woven and connected look on the wall. Bradway, Fields and Kanaly were chosen via an open call process. 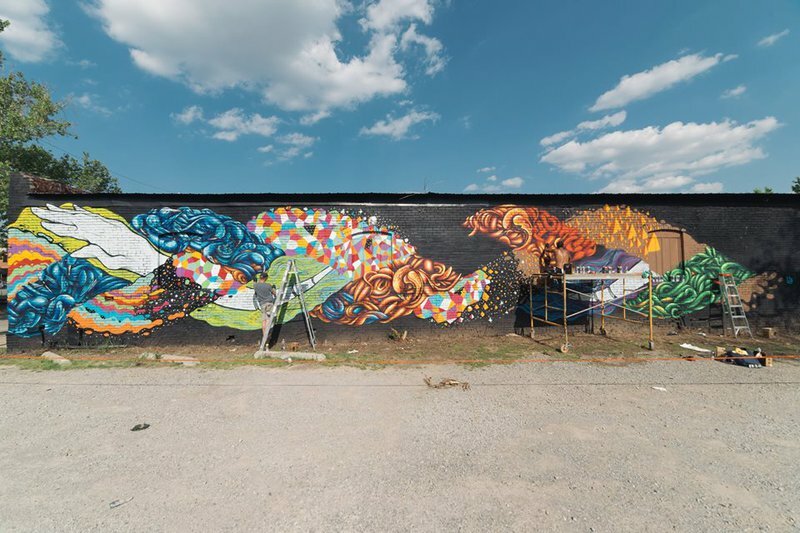 Each artist was selected because of his active involvement in the regional art scene, considering all three artists had previously created murals in Oklahoma City, from the Plaza District to Classen Blvd. Bradway, Fields and Kanaly each painted their own sections without the restriction of a specific theme, leaving them free to explore the full extent of their individual creativity. In this way, “Braid” represents Oklahoma City’s cultural diversity and the potential to tie varying cultures, communities, institution, ideas and imaginations together to create one united, strong creative bond. Take I-35 to Oklahoma City. Take exit 1E from I-235 to NE 9th St.